The Christmas season wouldn't be the same if we didn't make gingerbread cookies or gingerbread houses. 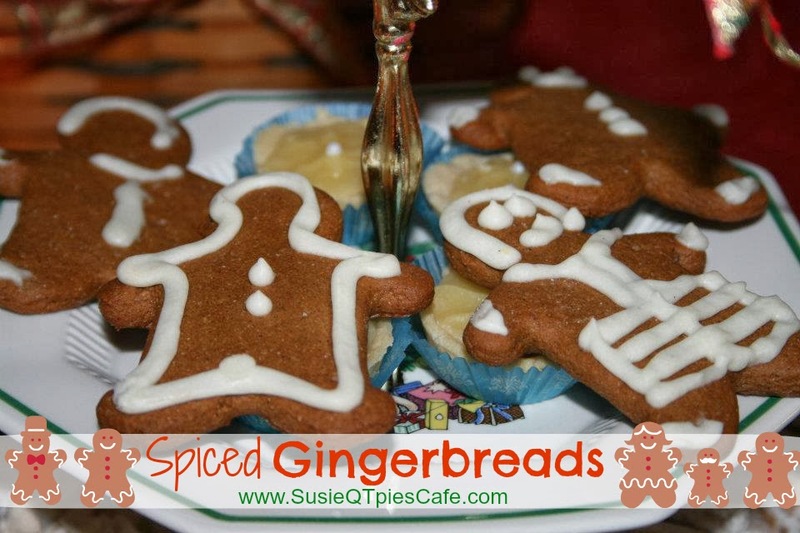 Over the years we've tried several variation on the basic gingerbread recipe and all taste about the same. As for gingerbread houses we've made nativity scenes, houses and towers. One of our favorite cheat ways to make a gingerbread house is to use graham crackers. Enjoy this post sponsored by Gooseberry Patch. I'm an early bird review of their cookbooks. My own tasty opinions, of course, are expressed here. Do you make gingerbread? What memories do you have? Create new ones with this tasty Gooseberry Patch cookbook! Check out the tasty recipes and review below. Here is yet another variation of gingerbread cookies. In the new Hometown Christmas Cookbook you can go to youtube and see the video that Gooseberry Patch created with this recipe. In a large bowl, blend together shortening and sugar.. Beat in egg and molasses until light and fluffy. In a separate bowl, sift together flour, baking soda, salt and spices; add to shortening mixture and stir well. Form into small balls and roll each in sugar. Place on a greased baking sheet, about 2 inches apart. Bake at 325 degrees for 12-15 minutes, until golden. Makes 3 dozen. Combine all ingredients in a large slow cooker. Cover and cook on low setting for 5-6 hours or on high for 2-3 hours. Stir before serving. Serves 30. Brown sausage in a skillet over med. heat; drain; Add onion, green pepper and 1/4 c. water; saute until tender. Stir in seasoning. In a large saucepan over med. heat, combine pizza sauce, remaining water, tomatoes, pepperoni and sauce mixture. Bring to a boil; reduce heat to med-low and simmer for about 15 min. As serving time, top each bowl with shredded cheese and chopped mushrooms. Makes 4-6 servings. When I made this, I just added all to the crockpot, except garnish and cooked low for 7 hours while I was gone all day. It could be cooked on high for 3 hours. To make it extra hearty, stir in noodles once done. 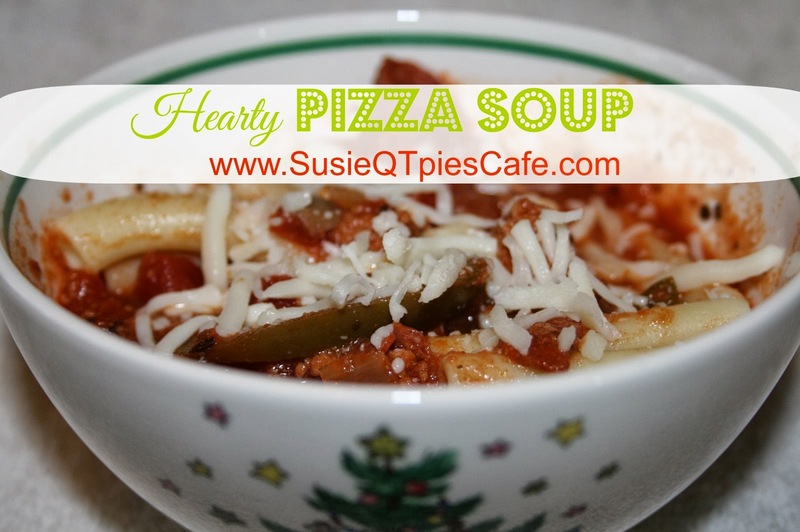 Here is yet another tasty cookbook by Gooseberry Patch. 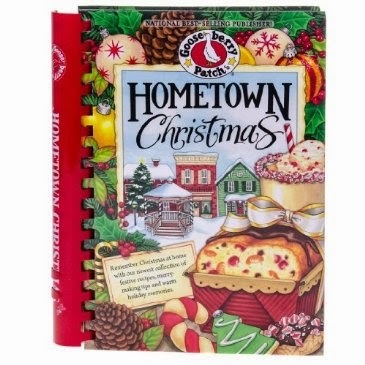 It is jammed pack full of festive recipes, merry-making tips and warm holiday memories. Because this is a hardback cookbook, they are adding digital interaction by including video icon near recipes. This icon alerts the reader to go visit Gooseberry Patch on youtube to see JoAnn & Vickie create the recipe. The book also has a QR Code which when scanned will take you right to their youtube videos. I love these new features. I believe that all of their cookbooks are available as eBooks as well. I have most of their books on ebook so that I can take their cookbooks with me no matter where I go. 7-Coming Home for Christmas- Sweet memories shared by wonderful women! NEED EVEN MORE Christmas Goodies? Check here for my 30 Days of Christmas Goodies. Want to win a copy of this tasty cookbook? Giveaway ends 12/26. I always have to have cookies for Christmas breakfast as we open presents and drink coffee. Two must haves are the Peanut Butter Kiss cookies and Chocolate Crackles! Our favorite is my mom's Baby Ruth Bars! We got it from an old neighbor from Georgia. Our favorite recipe is my mom's Baby Ruth Bars! We got it from an old neighbor from Georgia. I love Peanut Butter Temptations that my mother-in-law gave me the recipe. Thanks for the chance to enter. My mom made excellent sugar cookies--simple and delicious. The bonus of them being from my mother's recipe means I'll never try another sugar cookie recipe: this one is gold. I make eggnog bread and eggnog cheesecake bars that everyone seems to love. I make Hungarian Yeast Tortes and butterhorns...ciao4now64 at yahoo dot com. My family favorite is peanutbutter kiss cookies! 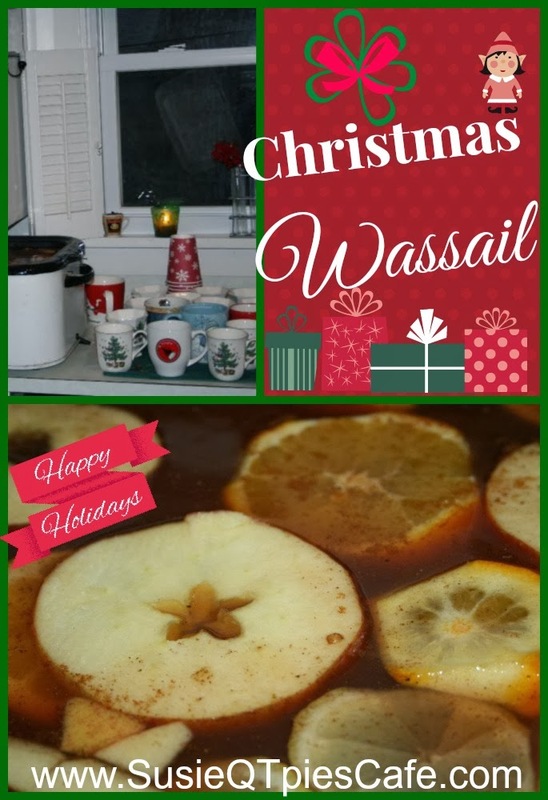 I am making the Wassail. Thanks so much for posting and Merry Christmas! I am definitely making the Wassail. Thanks so much for posting and Merry Christmas! Pumpkin Ice Cream Pie with whipped cream on top!